This stunning three bedroom house is one of only four homes in an exclusive, eco-friendly estate set on the Clovelly mountainside. On the market for R5.795 million, it has four bathrooms, a designer kitchen and never-ending views. The False Bay coastline has always been synonymous with the colourful beach huts of Muizenberg and St James, the Simon’s Town naval base and the bohemian charm of Kalk Bay with suburbs like Clovelly often overlooked and seen as the drab wallflower on the hill, mainly populated by old houses and retirees. However, this is no longer the case as Clovelly has undergone dramatic changes in recent years, with many of the older homes now being renovated, new homes being built and, most recently, the introduction of upmarket developments to the suburb. Kate Feist and Taryn Breetzke, Area Specialists for Lew Geffen Sotheby’s International Realty say that there has been a notable spike in interest recently as more investors have begun to recognise the value and appeal of the suburb, with stock shortages now being seen as less than 10% of the existing 261 homes are currently on the market. This is clearly evidenced by Lightstone data which reveals that while 56% of existing owners have owned their homes for 11 years or longer, 44% are recent buyers who have owned their properties for five years or less. “In Clovelly, it’s still possible to buy a spacious three bedroomed family home on a decent sized plot for under R3 million, which makes it the ideal area for first time buyers with young families to enter the market. 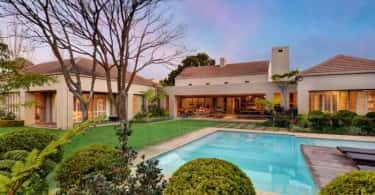 Around R4.5m buys a four bedroomed house with a pool and, for those with larger budgets, there are also stunning renovated and newly built modern homes for up to R7m“. 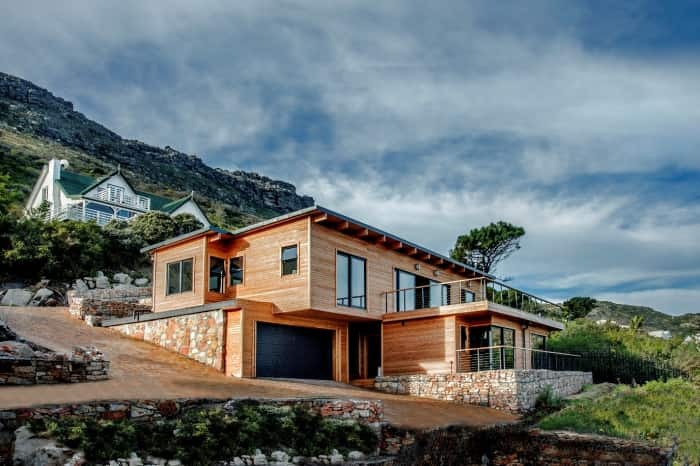 Steve Thomas, Lew Geffen Sotheby’s International Franchise Manager in False Bay and Noordhoek, says that the market in Clovelly is also is also showing solid growth. “During the last 12 months ending 30 September, there were 18 freehold homes sold at an average sale price of R2.528m, with four of the sales being in the R3m plus price band averaging R3.611m, 11 homes sold in the R1.5m to R3m bracket at an average of R2.536 and just one home was bought for R1.053“. 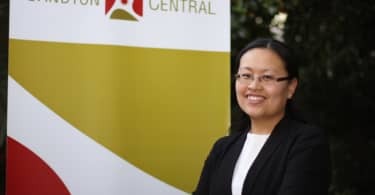 While the suburb may have flown under most people’s radar, one sector of society has always known about the jewel in its crown – the Clovelly Country Club with its pristine golf course of lush rolling greens. And it is overlooking these fairways that Echo Heights, an upmarket eco-friendly estate, is being built. Comprising only four designer homes constructed in Siberian Larch timber with the gabions made from local rock and stone, this exclusive development offers discerning investors an idyllic lifestyle in tranquil landscaped surrounds. Lew Geffen, Chairman of Lew Geffen Sotheby’s International Realty says: “If location is the real estate holy grail, then this estate delivers on every level. Adjacent to the scenic Silvermine Wetland Nature Reserve, the houses boast large expanses of double-glazed floor to ceiling glass framing unobstructed views over Fish Hoek valley on the Clovelly mountainside and of the ocean beyond”.